Geneva, Switzerland — December 17, 2014 — Last week, the Bluetooth Special Interest Group (SIG) announced the release of Bluetooth Core Specification 4.2, introducing important new features for Bluetooth Smart, the ultra-power efficient, application-friendly version of Bluetooth. These features include much-anticipated support for the key role for Bluetooth in the Internet of Things (IoT), as well as updates for privacy, throughput, and security. 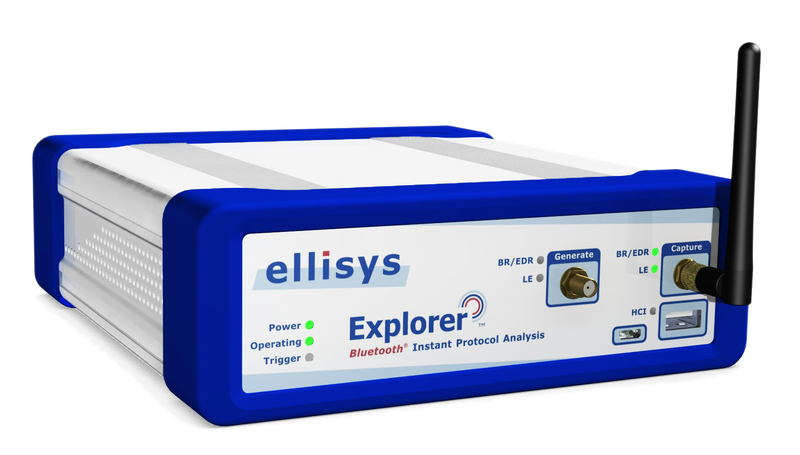 Ellisys, a worldwide leader in protocol test and analysis solutions, and provider of the industry’s most advanced Bluetooth protocol analyzer, is pleased to officially announce that support for new 4.2 features is installed on its Bluetooth Explorer™ 400 All-in-One Protocol Analyzer, and in fact has been available for nearly a year, free of charge to its customers. Such early feature support enables test and verification projects for leading-edge developers and greatly speeds the overall development cycle. The Bluetooth Explorer uniquely features an advanced, instrument-grade proprietary radio that is routinely software-reconfigured to support such changes. The Core Specification 4.2 update provides both new features as well as extensions to certain existing features for Bluetooth Smart, the low energy (LE) version of Bluetooth first introduced as the hallmark feature of the December 2010 release of Core Specification 4.0. These updates include extended length data packets for increased throughput up to 2.5x (LE Data Length Extension), privacy updates aimed at preventing tracking and increasing power efficiency (LE Privacy 1.2), and more robust pairing security using FIPS-compliant encryption (LE Secure Connections). Various industry analysts predict more than 25 billion devices will reside on the IoT by 2020. Associative with this Core Specification update, the Bluetooth SIG announced the near-term availability of features that enable Bluetooth Smart sensors to access the Internet through a gateway device, which will provide IoT accessibility for Bluetooth devices. These features include Low Power IP (IPV6/6LoWPAN) through the Internet Protocol Support Profile (IPSP), and Bluetooth Smart Internet Gateways over the existing Generic Attribute Profile (GATT) through the HTTP Proxy Service (HPS). Thanks to its revolutionary and proprietary whole-band digital radio, the highly extensible Bluetooth Explorer 400 is able to support test and development of specification updates as they are brought up in developer labs or at industry testing events organized by the Bluetooth Special Interest Group (www.bluetooth.org). This is done with just a simple software update, and importantly, no need (or long wait) for an expensive hardware upgrade. Best of all, this update is free of charge for Ellisys customers - absolutely no annual maintenance charges. The Bluetooth Explorer 400 is available in various configurations in order to meet specific customer requirements. For more information, including software downloads, please contact sales@ellisys.com or visit www.ellisys.com/products/bex400.